Help your child engage his or her faith in new, meaningful ways through the wisdom and insight in My Bible Adventure Through God’s Word. By starting the habit of studying the Bible at a young age, you're young believer is signing up for the adventure of a lifetime! Cassandra's Review- Even if you do not believe in God, I personally feel like the Bible is one of the most awesome story books of all time. Ok, so we all know not everything written in the Bible is family friendly and it can be really hard to want to give your child a full Bible to read, nevermind the fact they probably will not understand most of it. 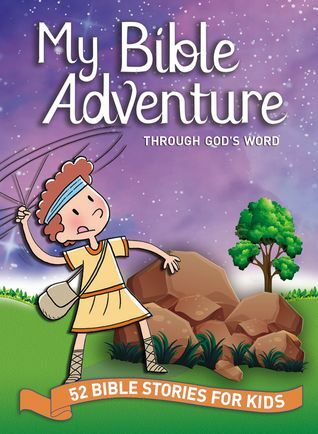 Now comes this book and it features 52 hand selected stories from the Bible but created so that kids can feel good about reading them while learning in a clean and fun way, It compacts everything so that your little youth can absorb and understand what is going on. I would recommend this book to families of any kid or children of any age as well as adults that might have trouble figuring out the bigger Bibles wording. It is a faith based book.